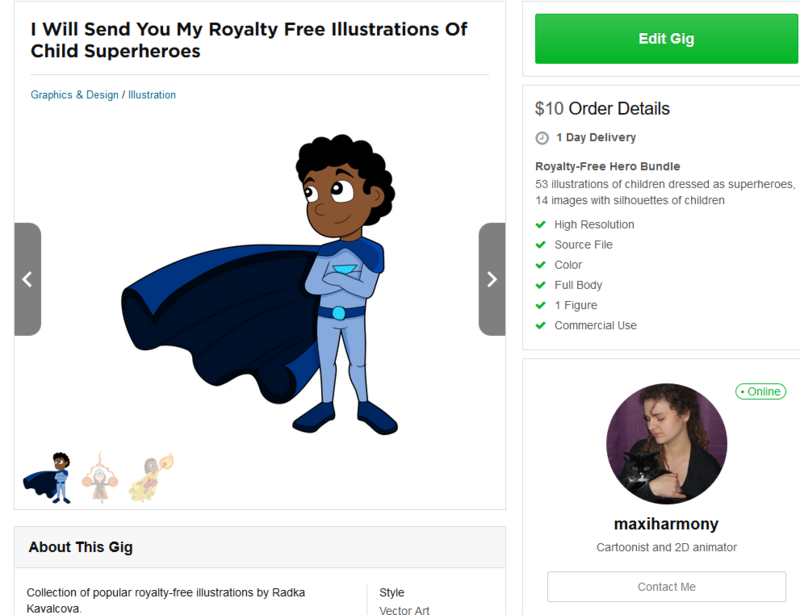 I’ve compiled my popular royalty-free cartoons with child superheroes into one huge bundle, and I’m offering it on Fiverr only for $10. I don’t know how long I will let the gig run, so get your bundle while you can. Once the gig is done, the cartoons will be available only via microstock sites like Dreamstime, Shutterstock, Fotolia and Adobe Stock, and you will have to license the cartoons one by one. If you’re a content creator yourself, you can join Fiverr via this link and offer your own gigs to people all over the world.